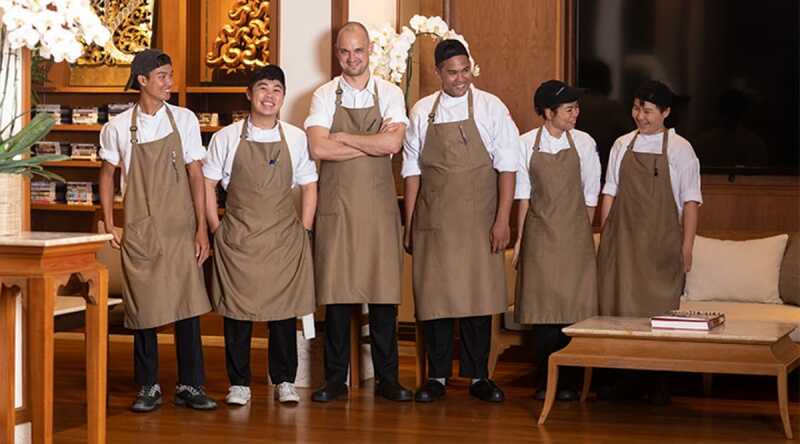 Dutch chef Jimmy Ophorst arrived in Phuket six years ago with a team of international chefs working on a consulting project with the Trisara Hotel and has never looked back since. Now chef of Phuket’s first-ever Michelin Star restaurant, Chef Jimmy is now officially recognised as a leading voice for Thailand’s farm-to-table movement. Fresh off the stage with his first Michelin Star under his belt, we sit down with the inspired young chef to share his excitement and ask him some questions about what makes him tick. Q: Congratulations on your first Michelin Star, so what does getting this star mean to you? Chef Jimmy: Like the dream of many young chefs, one of the goals when I left Holland was to run a Michelin Star restaurant. Getting this star is a great award for me and the team at PRU. It recognises our hard work and what we’ve done with the local produce, which in turn supports not only us but the entire island community. The Michelin Guide is also important for filling my restaurant. In the end that’s what I am cooking for – a full restaurant, happy customers and good experiences around food. Q: What chefs do you look up to and what’s the key to your success? Chef Jimmy: The chef that has inspired me the most is fellow Dutchman Richard Ekkebus from Amber (two Michelin Stars) in Hong Kong. He was the first Dutch guy to make it in Asia and has had his two Michelin Stars consecutively for 10 years. In terms of keys to success, I would say never give up! I came from a family where when you want something you work hard for it. My family ran greenhouses where I grew up (just outside of The Hague in the Netherlands) and when I wanted money to buy a football or something, my mum would make me knock on the door of my uncle’s greenhouse to pick tomatoes or cucumbers to get money. I would say this trait has made me who I am today. Chef Jimmy Ophorst (3rd from left) and the team at PRU. Q: Plant Raise Understand (PRU) where did that name come from for your restaurant? Chef Jimmy: It started with our farm called “Pru Jampa”. As we matured we decided to explore the farm-to-table philosophy further and evolved PRU into using 100% local ingredients. If I was to break it down it would be: we plant our own seeds to grow our own vegetables; raise our own poultry and use only local produce that we serve at the table. By doing this, we complete the whole circle of understanding in agriculture and cuisine, which in turn supports the local island community. 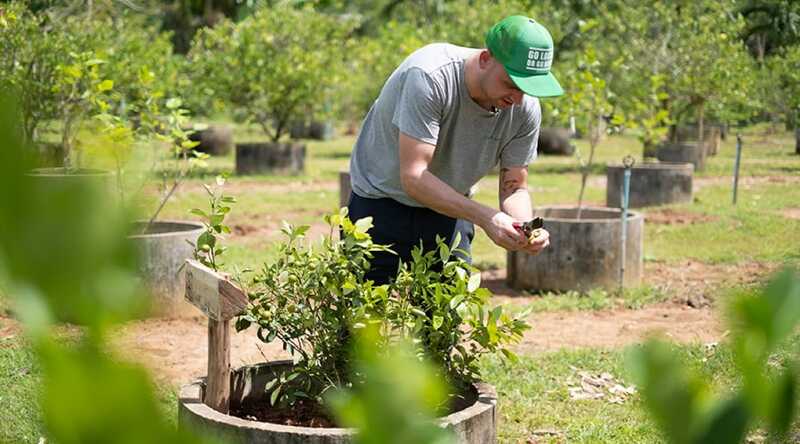 Chef Jimmy Ophorst from PRU restaurant at Trisara Hotel, Phuket, Thailand picking herbs at “Pru Jampa” farm. Q: How did you acquire your knowledge of wild Thai herbs and things you can eat in the jungle when you go foraging? Chef Jimmy: At the start we would take a picture of something and ask the local farmers or older villagers to see if we can eat it or not. If they say yes, I would go back and get it then bring it into the kitchen to see how we can work with it. Today, the trust and relationship have matured with the local community and we’re at the point where locals bring things to us and ask us to try and cook something with it. 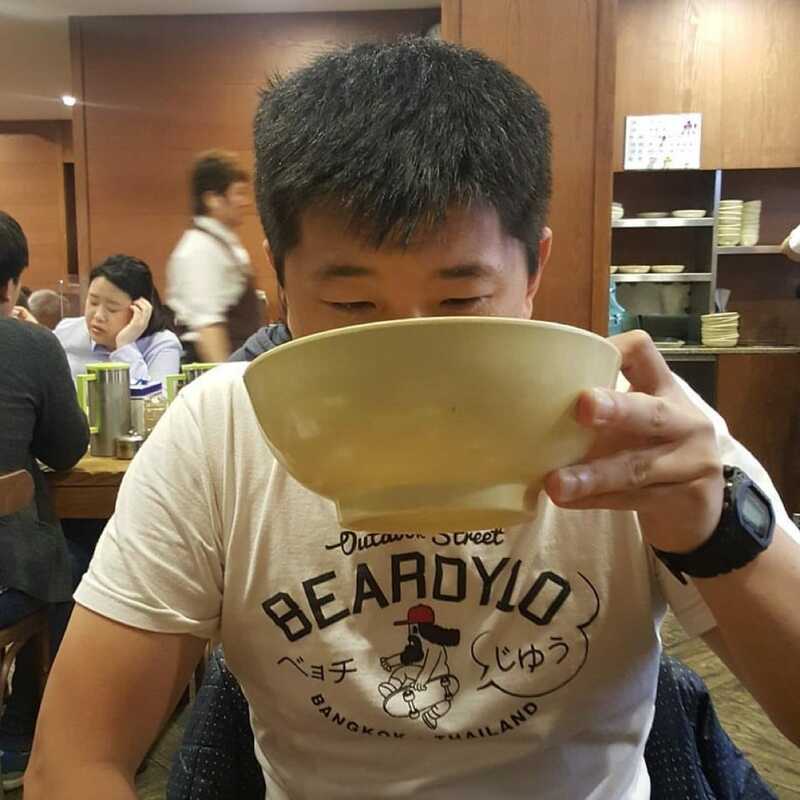 Q: What’s the one dish that everyone should try at PRU? Chef Jimmy: It would be the carrot, which represents the entire philosophy at PRU. The carrots are cooked in the soil they came from in a ground pit with charcoal taken from the farm’s woods for 8 hours. We then add fermented carrot juice, cured egg yolk from the farm and hollandaise sauce. The result is a sweet, juicy and tender carrot with a slight smoke flavour that some say tastes like bacon. 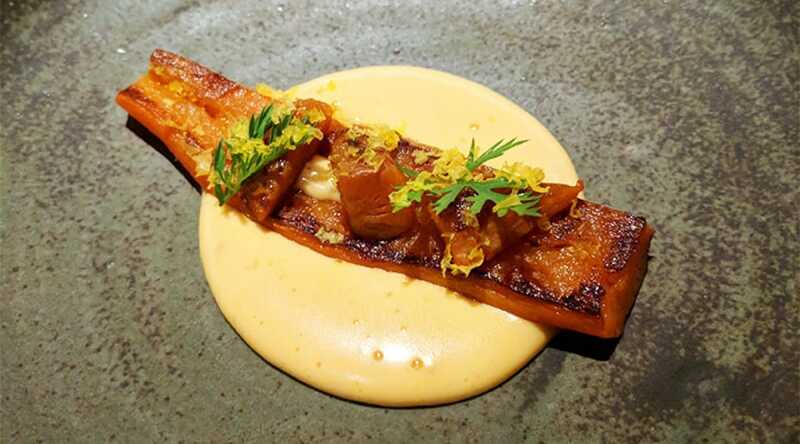 The one dish that represents PRU's philosphy - carrot cooked in the soil they came from. Tucked inside a luxury resort, PRU stands for 'plant, raise, understand', and it is this ethos which underpins every aspect of this sophisticated, intimate and romantic restaurant, a stone's throw from the sea. Many ingredients are sourced from their own 96-hectare organic farm; even the butter is made in-house with milk sourced from Krabi. Dishes are delicate and neatly presented; 'carrots cooked in soil' is a signature dish.